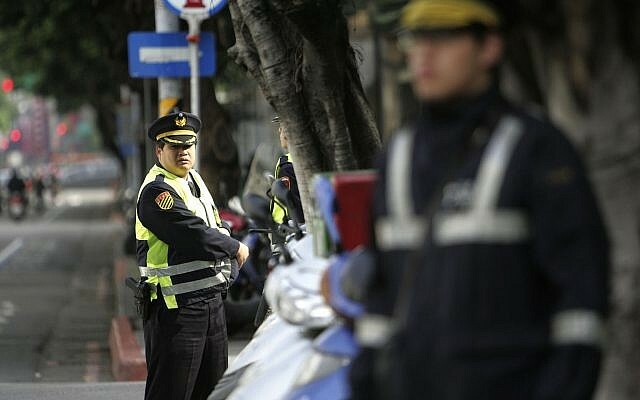 The family of an Israeli-American man suspected of the grisly murder of a Canadian man in Taiwan last month has filed an emergency petition to the High Court of Justice seeking the governmentâs help in preventing his deportation to Taiwan, where they say he would likely face the death penalty, the Ynet news site reported Saturday. Oren Shlomo Mayer, 37, a tattoo artist, teacher, and alleged drug dealer, who was born in Israel and grew up in the United States, is a suspec t in the gruesome drug-related murder of a Canadian teacher and alleged drug dealer who was found dismembered in a Taiwan park in August. Mayer, who goes by the name âOz,â fled to the Philippines after news broke of the murder, where he arrested earlier this month. He is currently waiting extradition back to Taiwan. On Friday, Meyerâs family asked the court that the state intervene on his behalf, and request the Philippines extradite him to Israel, instead of Taiwan where they say he will likely face the death penalty. The petition said his extradition was being delayed by poor weather. Meyerâs family asked also asked the court that Meyer be issued a passport, since the US cancelled his American passport. The report said Israel has so far refused to issue him a passpor t or travel documents. According to the report, Supreme Court Justice Noam Solberg said the court would issue a response to the petition by September 20, but family attorney Nechama Tzivin asked the court to respond sooner, saying that Meyerâs life was at stake, and the government was intentionally ignoring the case. Tzivin said the Foreign Ministry was going against standard diplomatic procedure in Western countries who generally attempt to intervene in life or death cases abroad. She claimed the Interior Ministry has been instructed by higher-ups not to issue Meyer any travel papers, which would allow him to return to Israel. Meyerâs mother told the news site the US is insisting her son b e extradited to Taiwan, and that American consul in the Philippines cancelled his US passport shortly after visiting him at the Philippines Immigration detention center, where he is being held. In August, Taiwan News reported that 43-year-old Canadian pre-school teacher Ramgahan Sanjay Ryan was walking his dog in the Zhongzheng Riverside Park when two men ambushed him with a chain and machetes, stabbed him to death, dismembered him, and scattered his body parts. Several days later, police arrested US citizen Ewart Odane Bent, naming him as a suspect, Taiwan News reported. A Taiwanese accomplice was also arrested. Police said that after the murder the pair âhappilyâ bought beer at a nearby supermarket to celebrate. They said Bent had provided information about Mayer, who had taken a flight to Manila on August 25. Meyerâs mother denied the accusations against her son, and rebuffed reports in Taiwanese media that he was a known marijuana dealer. She told Ynet that her son had a prescription for medical marijuana, and that his trip to the Philippines in the wake of the murder was for visa purposes.